It’s an old saying: Lieutenant governors exist to remind governors of their own mortality. Lieutenant governors do only as much – or as little – as governors allow. Wisconsin Lt. Gov Rebecca Kleefisch’s relationship with Gov. Scott Walker goes far beyond reminding the governor that he won’t hold that job forever, however. Not only is Kleefisch, who turns 40 this week, a much better Walker partner – and politician – than when she took first office in January 2011. But she has had a front-row seat for all the many controversial changes Walker and Republican legislators have enacted since then, making her familiar with political land mines and giving her business and government contacts statewide. And, Kleefisch can say that – just like Walker – she has been re-elected three times in four years. But Kleefisch has not had to make any major decisions as acting governor, since Walker– despite extensive international and national travels – has never transferred power to her. On July 13, Kleefisch’s political life changed when Walker announced that he is running for President. Kleefisch has nothing to lose – and everything to gain – by Walker’s White House run and by helping it where and when she can. If lightning strikes and Walker is elected President, Kleefisch becomes governor. If another of the 16 Republican candidates is elected President, and gives Walker a federal appointment, Kleefisch becomes governor. That’s happened before: Four-term Gov. Tommy Thompson resigned to become a cabinet secretary in 2001, and former Democratic Gov. Pat Lucey resigned to become ambassador to Mexico in 1977. And, if Walker doesn’t seek a third term in 2018 – and many in the Capitol say he has exhausted his political capital and will not run again – Kleefisch’s experience makes her the leading Republican candidate. Anyone challenging Kleefisch in a 2018 Republican primary – GOP Congressman Reid Ribble or Sean Duffy, for example – would have to explain what the Walker/Kleefisch administration got wrong. 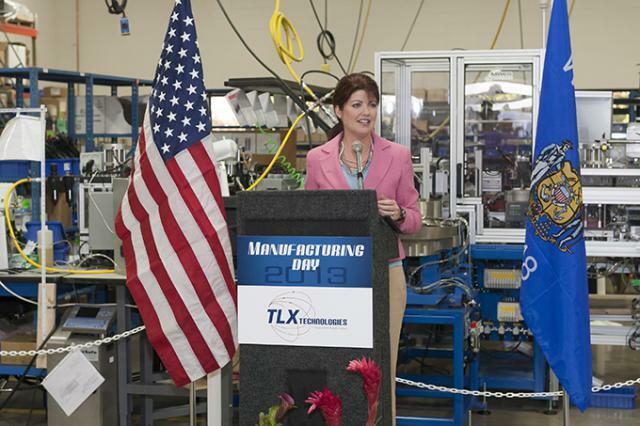 All this explains why Kleefisch, in a July 17 newsletter, said that life is good: “I can’t tell you how many times I’ve been asked over the last several weeks how ‘my job will change’ now that the governor is running for president. I think my answer surprises a lot of people who don’t read this newsletter. “My job is not going to change all that much because I already spend my days and weeks traveling our great state, learning from you, talking about our policies with you and building on our record of pro-growth efforts with the great ideas you share with me. It’s been quite a ride for Kleefisch, a former Milwaukee TV reporter who was not the first choice for a running mate of then-candidate Walker and advisers in 2010. Then, Walker was Milwaukee County executive and emails that surfaced in criminal investigations showed that Walker aides were actively helping then-Republican Rep. Brett Davis before the GOP primary for lieutenant governor. In the September 2010 primary, Kleefisch got 46 percent of the vote; Davis, 25 percent. Another possible political advantage for Kleefisch is that, although Walker and his changes have sharply divided Wisconsin voters, they apparently don’t link Kleefisch to those initiatives. All of which puts Kleefisch in a unique – and certainly better – position than the last three lieutenant governors. Former Democratic Gov. Jim Doyle wanted then-Sen. Kevin Shibilski to be his running mate before Doyle won the Democratic primary for governor in 2002. But Barbara Lawton won the primary for lieutenant governor and served eight years with a governor who rarely saw her. Lt. Gov. Scott McCallum never earned the trust of Gov. Thompson, although they held their respective offices for 14 years. And Lt. Gov. Margaret Farrow, a respected state senator who McCallum named lieutenant governor in May 2001, joined a political ship that sank 18 months later. McCallum served briefly as governor before getting defeated by Doyle. Kleefisch may end up facing the same challenges. I would imagine Vos or Schimel will be the next governor, if Walker doesn’t actually run again in 2018. At the rate things are going, Vos or Schimel are more likely to be indicted and/or recalled by 2018. You’re kinda getting ahead of yourself, aren’t you?